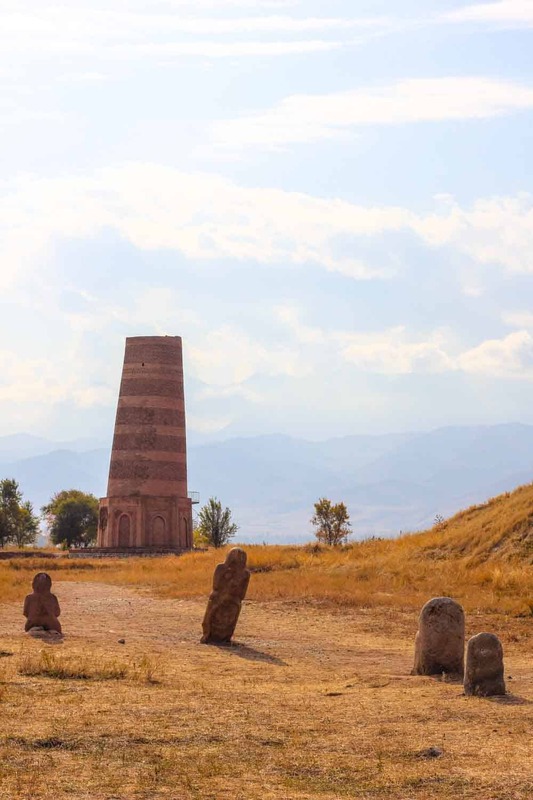 Burana Tower is one of the most accessible day trips to undertake from Bishkek, which is the capital of Kyrgyzstan. And best of it is this beautiful day trip shouldn’t cost you more than 15USD. 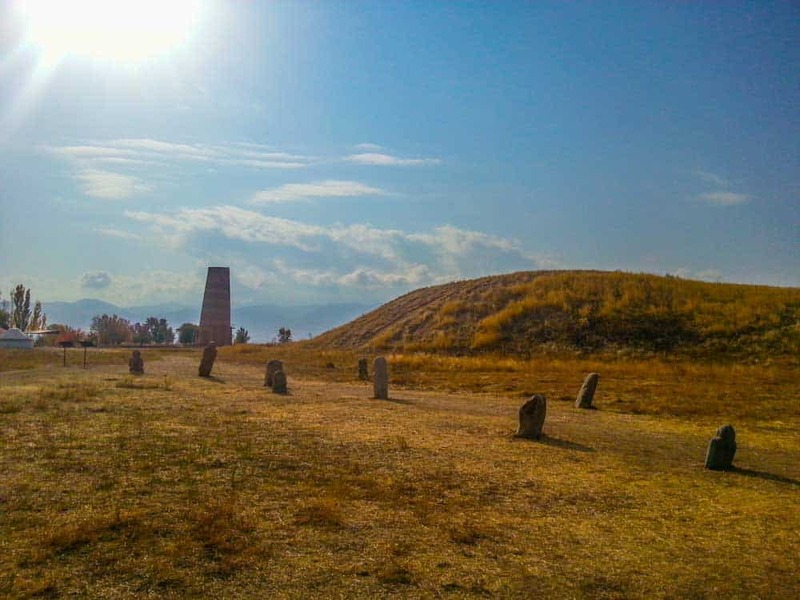 Be sure to check out this post for some great inspiration with things to do in Kyrgyzstan. 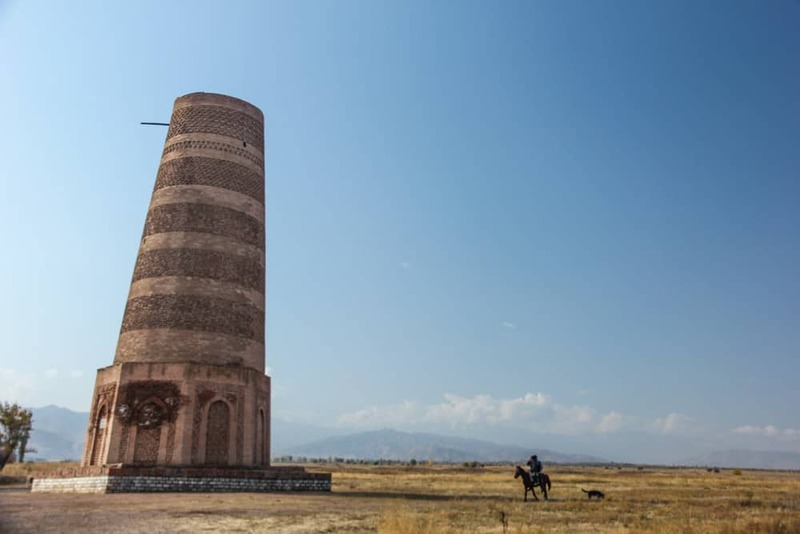 The 24meter(79feet) tall Burana tower/minaret, is located in the Chuy Valley, which is 74km/43miles away to the east of Bishkek. 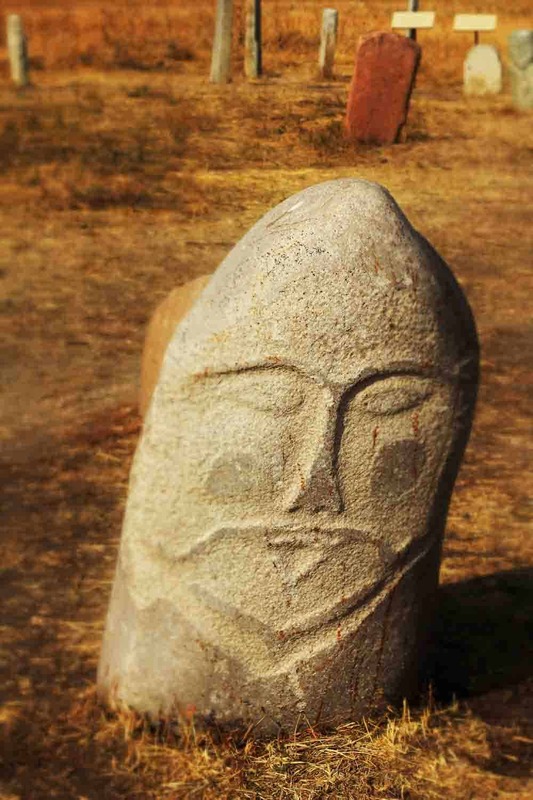 Burana Tower is the last symbol that remains of the medieval city of Balasagun that once stood here. If your heading to Almaty and Kazhakstan after Kyrgyzstan check out this post about 15 things to do in Almaty. 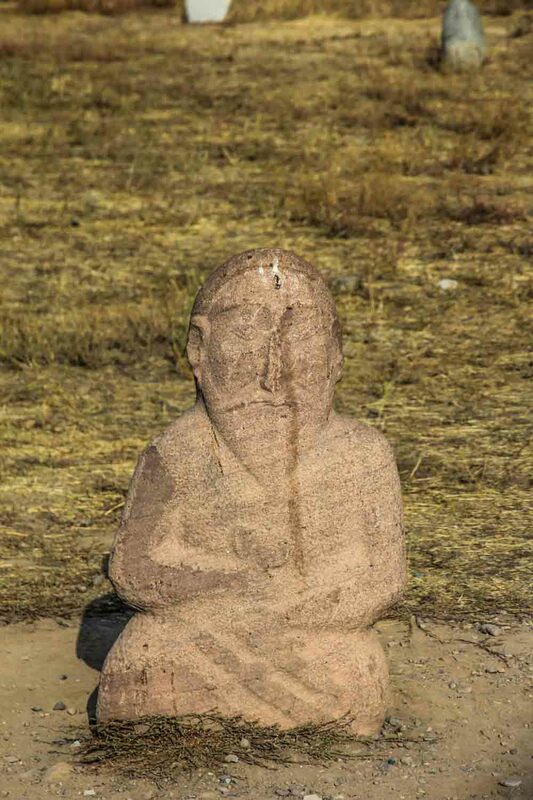 Balasagun, established by the Karakhanids in the 9th century, has virtually disappeared. 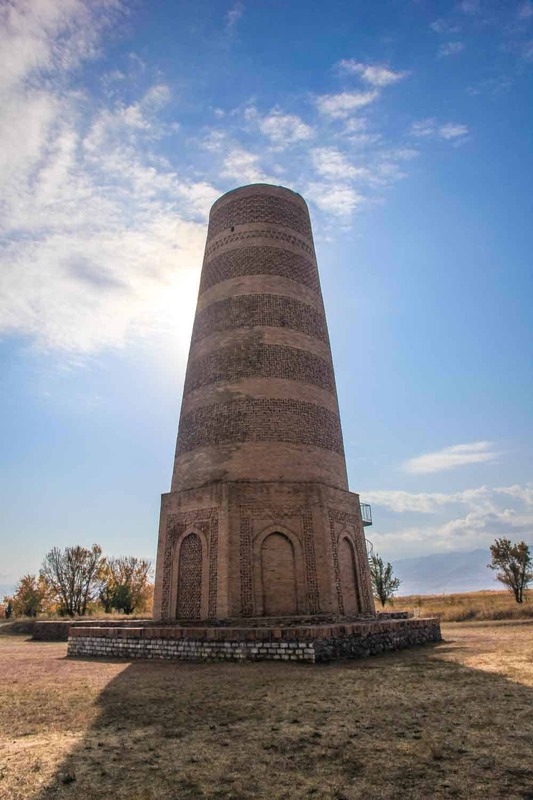 Only a few artefacts could remind people of the old minaret – the Burana Tower, which is the most important symbol of the former glory of Balasagun. Need any travel tips about to do in Bishkek during winter? Check this post. Burana Tower is now 24meters (79feet) tall, but it´s said to have been up to 46meters (138feet) tall during Balasagun, a massive earthquake that struck the area in the 15th century, made 20meters (60feet) fall off, so now the tower is only around its original height. The Tower was renovated in the 1970s by the Russians during the Soviet. To enter the Tower you’ll have to climb some newly built metal stairs on the backside of it, by climbing a winding stairway inside the tower, it will get visitors to the top. From there you will get a great panoramic view of the surrounding fields and even the Tian Shan mountains on a clear day. During my visit the door was closed, the locals said the guard who holds the key to the tower wasn´t expecting any visitors that day, so he took a day off. There´s also a small museum inside a traditional Yurt, close to the minaret; the museum has a small collection of artefacts founded around the area and some basic information about the history. 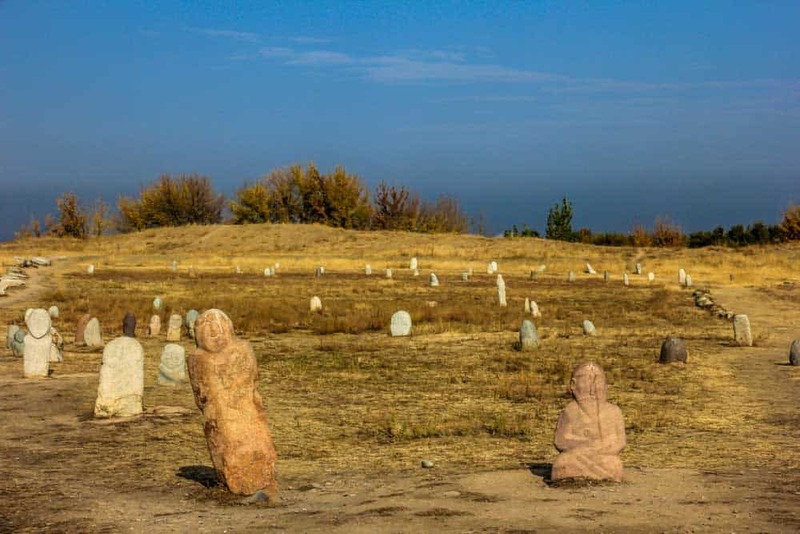 There are a numerous Balbals spread around the area; stoned carved steales believed used to be gravestones of Turks when they roamed through Central Asia centuries ago. Some of the Balbals is supposed to be just as old as the minaret. The big group of balbals. A bald and friendly looking balbals. How To Get To The Burana Tower. First, you have to get to the small town of Tokmok around 74km/43miles away, to the east of Bishkek. Take a Bus or Marshrutka No. 353 (minibus) from the East Bus station in Bishkek, which´s heading to Tokmok or Issyk-Köl. There´s no timetable, the bus/minibus will leave when full. The price is around 300som (4usd) and takes around 1 hour. When you reach Tokmok, get off the bus/minibus across the gas station. And approach any taxi driver. They will know where you want to go. The Burana Tower is around 14km/9miles away, on the south of Tokmok. A taxi return trip with the taxi and waiting will cost around 200 – 300som (4usd), depending on your Russian skills:) Be sure to tell the taxi driver to wait for you. If not you will have to walk for about 40min to reach the main road where you can either have to hitchhike or wave down a taxi/minibus that´s heading back to Tokmok. Opening Hours: 9 AM -17.00. 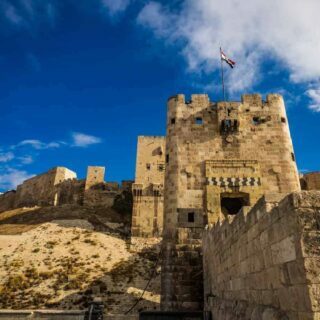 Entrance Fees: 150 Som (2usd) including access to climbing to the top of the tower and the small museum.